RodMartin.org doesn’t forecast commodity prices, so we make no attempt to do so here. 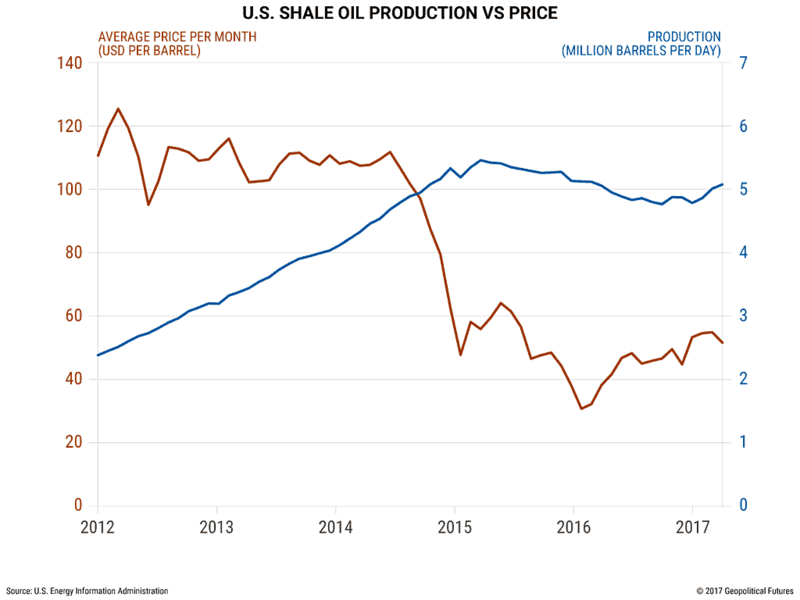 But the following report will outline a trend that has emerged over the past several years, one that will maintain downward pressure on prices and thus alter the global geopolitical landscape: affordable shale oil drilling in the United States. 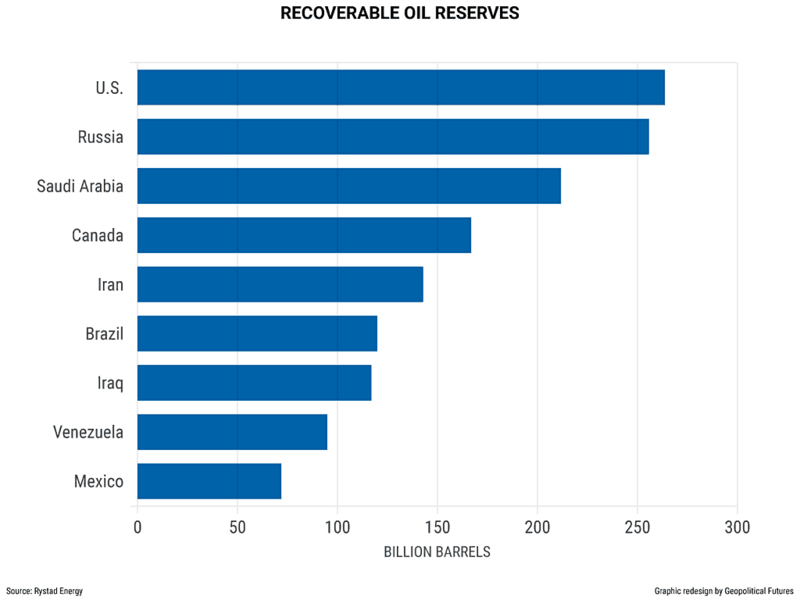 OPEC, which Saudi Arabia essentially leads, has so much recoverable oil that it has been able to more or less control oil prices by adjusting production levels, sometimes in concert with Russia. But that is no longer the case. 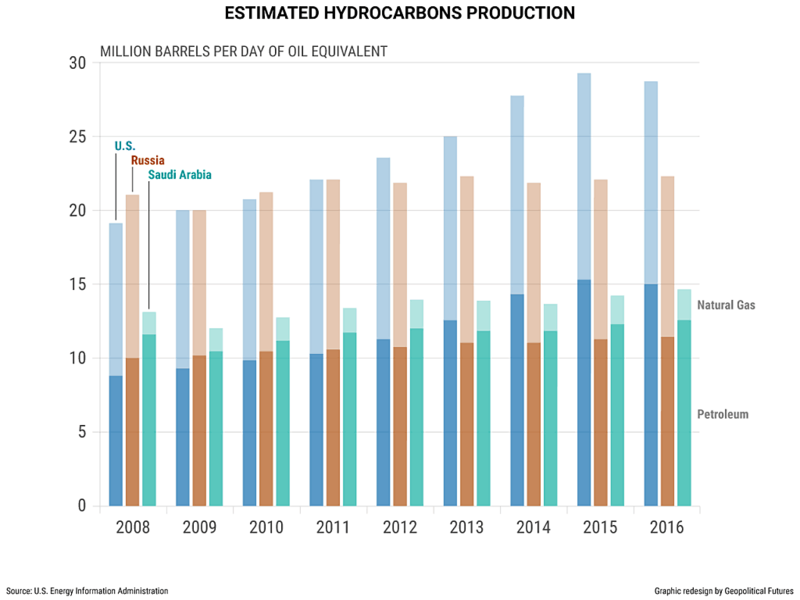 By some estimates, the United States has surpassed Saudi Arabia in recoverable oil reserves as advancements in hydraulic fracturing and horizontal drilling have enabled producers to access areas previously not thought possible. Roberts’ explosive device was eventually replaced by another explosive, nitroglycerine. Even though nitroglycerine was used as late as the 1990s, companies began to experiment with using more inert materials as early as the 1930s. In 1949, Halliburton became the first company to fracture a well with water. 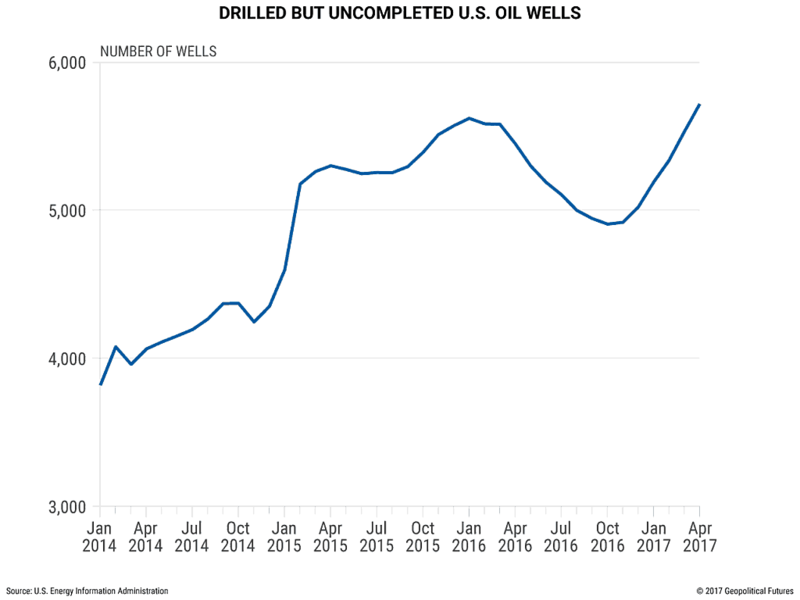 The number of drilled but incomplete wells has grown over the past few months. 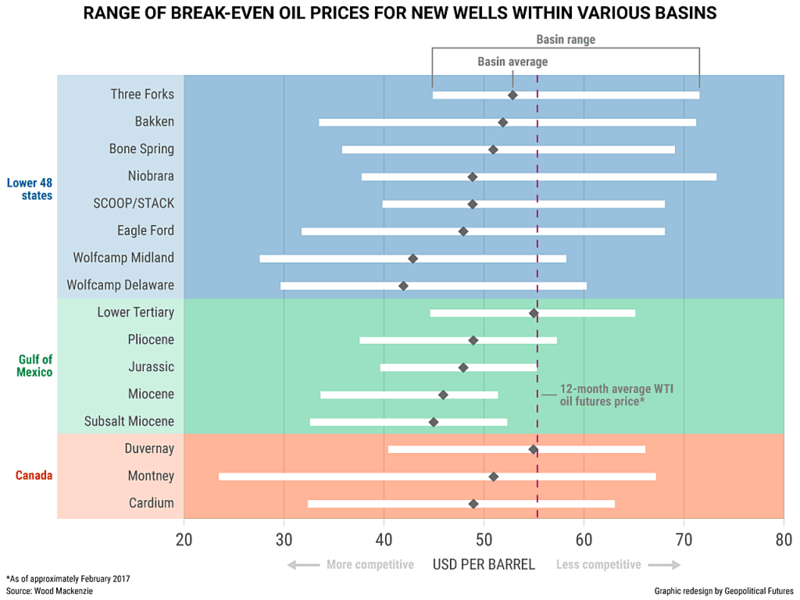 When oil prices reach the upper end of the $40-$60 per barrel range, these wells will begin to produce, bringing even more oil onto the market. This is a foreboding prospect for countries like Saudi Arabia and Russia that depend so heavily on hydrocarbons. 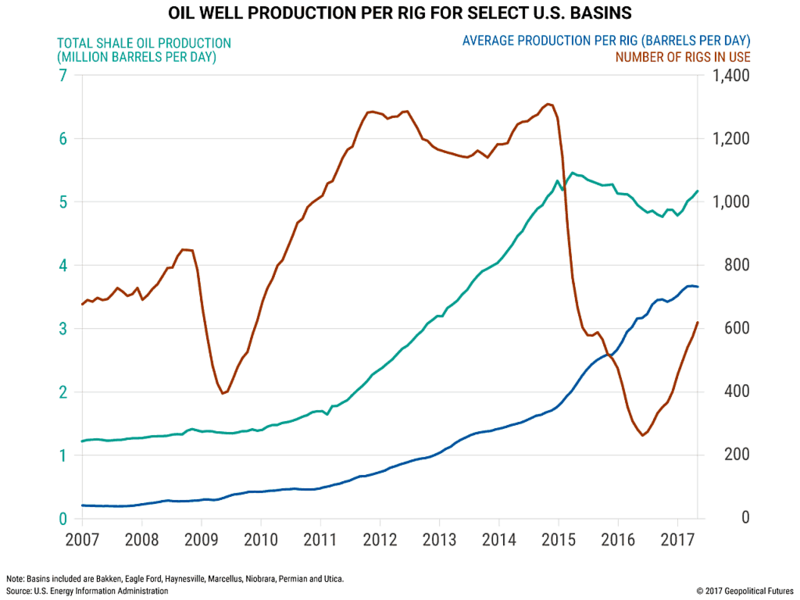 Sure, they can produce oil more cheaply than their U.S. counterparts, but rampant government expenditures make their fiscal break-even point – the price at which their budget is not running a deficit – much higher. The International Monetary Fund estimates that oil will need to cost $78-$80 per barrel in the next two years for the government in Riyadh to break even on its fiscal budget. 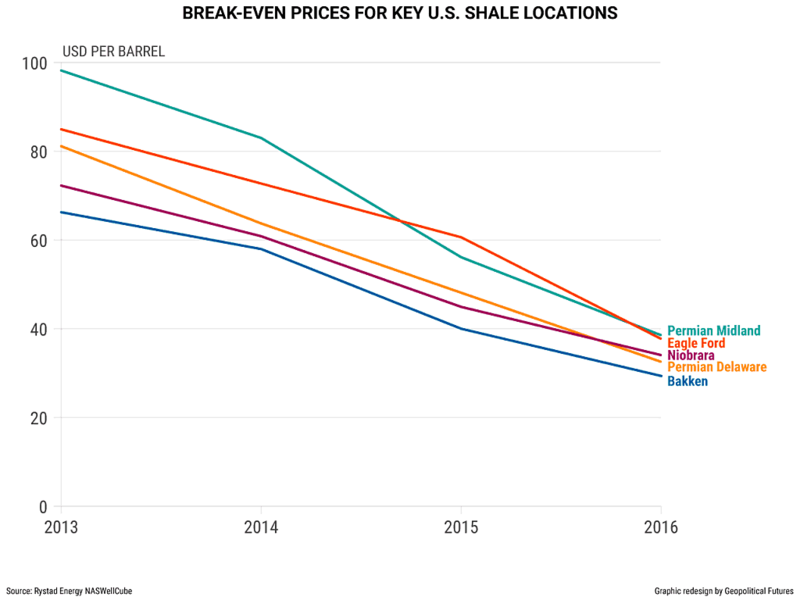 Russia’s break-even point is lower at $68 per barrel, but it’s still higher than current prices. Short of that, the two countries will have to run budget deficits – which deplete their fiscal reserves – to continue the social spending programs that earn them the support of their people. 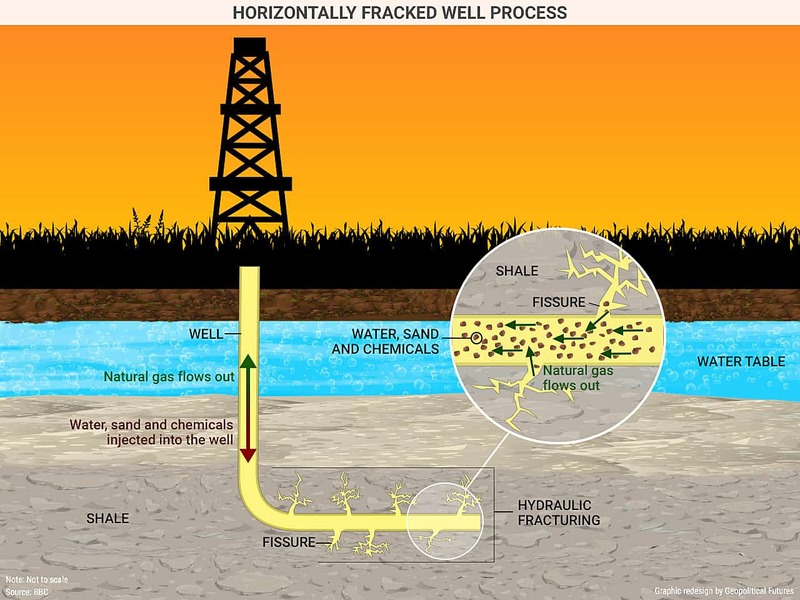 — Shale Oil: Another Layer of US Power originally appeared at Geopolitical Futures.